Just as we compared the new HTC One M8 to the LG G Flex, it is only fair that we compare the new Samsung Galaxy S5 to the G Flex as well. The LG G Flex is much like the LG G2 flagship, but with a larger display and a reduction in resolution from the G2’s Full HD 1080p to simply HD at 720p. 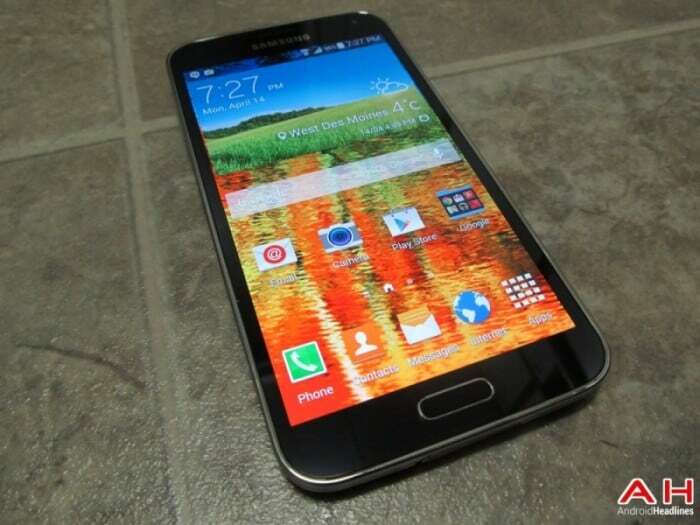 Both the Samsung Galaxy S5 and G Flex use a Qualcomm Snapdragon quad-core processor, although the model in the S5 is the MSM8974AC, which is the true 801 over the base MSM8974 (800) used in the G Flex. Both devices are packing 2GB of RAM, the S5 has a 16GB and 32GB model, and the G Flex is a solid 32GB of internal storage. Both cameras are very similar – 16MP ISOCELL camera on the S5 and a 13MP shooter on the G Flex. Take a look at the individual specifications on the chart below and then we will discuss their differences and choose a winner of this comparison. The Samsung Galaxy S5 is the new flagship in a long line of “S” series, and like its predecessor, is an evolutionary device with small improvements all around. The Galaxy S5 comes to us with a new and improved Super AMOLED display – it is brighter and can display natural colors if the intense and over saturated look is not for you. It has the latest and greatest processor out there, but it is basically an overclocked Snapdragon 800 that the G Flex has in it. It does have room for a microSD card to add up to 128GB of internal storage and the G Flex does not include a microSD slot. The camera continues in the quality Samsung tradition, however, Samsung added additional megapixels over the S4 to increase them from 13MP to 16MB versus the 13MP on the G Flex, and added their new ISOCELL technology for better low-light pictures. The 2800mAh battery is much smaller than the G Flex’s massive 3500mAh, but Samsung was really able to increase the battery life in the new Galaxy S5 and the device even offers a couple of modes to help extend it even further – especially the Ultra Power Saving Mode. 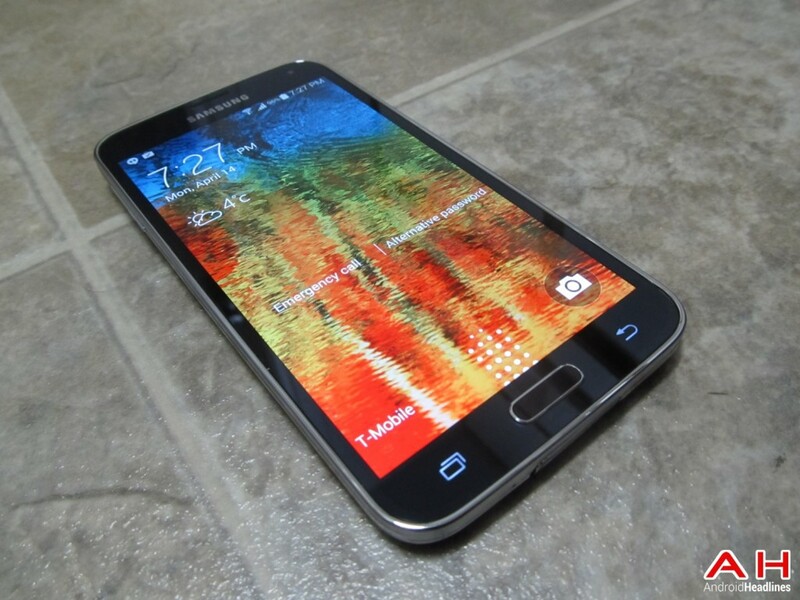 The Galaxy S5 also includes USB 3.0 technology and is now water/dust resistant. Samsung also added a fingerprint scanner for added security and a Heart Rate Monitor for the health conscious customers. Pricing is great on a two-year contract at $199.99 and Verizon is offering a BOGO offer – two for $199.99…not bad at all! The LG G Flex just arrived in the U.S. at the first of the year and was just recently named as a Rogers exclusive in Canada a couple of weeks ago, so it is fair game to compare it to the new Galaxy S5. The G Flex has a larger, 6-inch display, over the new S5, but is only 720p rather than the 1080p of the S5 – don’t get me wrong, the G Flex’s curved display is nice looking, but its 245ppi just does not have the sharpness of the S5’s 432ppi resolution. The display of the G Flex is curved from top-to-bottom, making it easy to slide in your jeans’ back pocket or good for watching a video or movie in the landscape mode. While it gets kudos for having a standard 32GBs of internal storage, it does not contain a microSD card slot like the Galaxy S5. The 3500mAh battery is a plus, and while the new S5 has excellent battery management, so does the G Flex and our review spelled that out. The 13MP took good shots, although our reviewer felt the LG G2 took better pictures – in fact, he felt it is one of the best smartphone cameras. With the S5′s increase in megapixels and the G Flex not quite as good as the G2, we would have to give the nod to the 16MP ISOCELL camera on the Galaxy S5. One interesting feature of both the G2 and G Flex is the self-healing back, which is supposed to make small scrapes or indentions “disappear.” It does work to a small degree, but like our review says, it still needs some work. 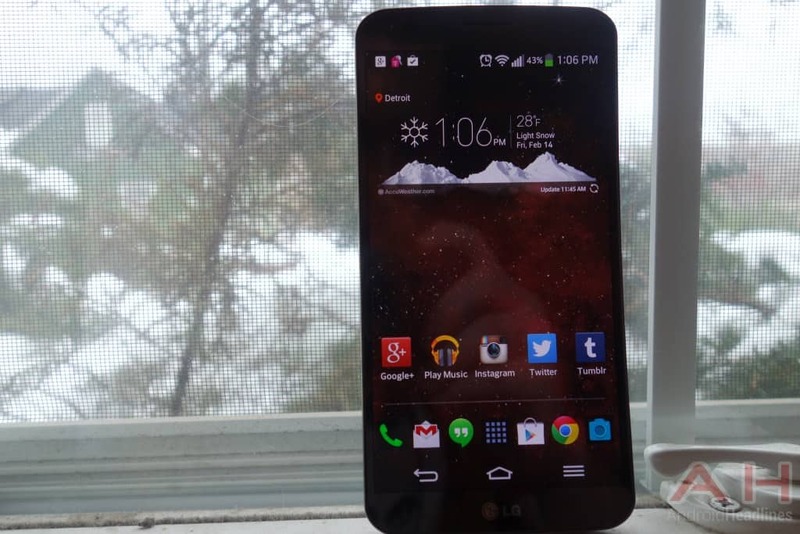 The LG G Flex is an interesting device and possibly a glimpse into the future of curved smartphones. Our boss, loves his G Flex, and while I hate to get on his ‘bad side,’ although that is where I am usually sitting, I will have to choose the Galaxy S5 over the LG G Flex. 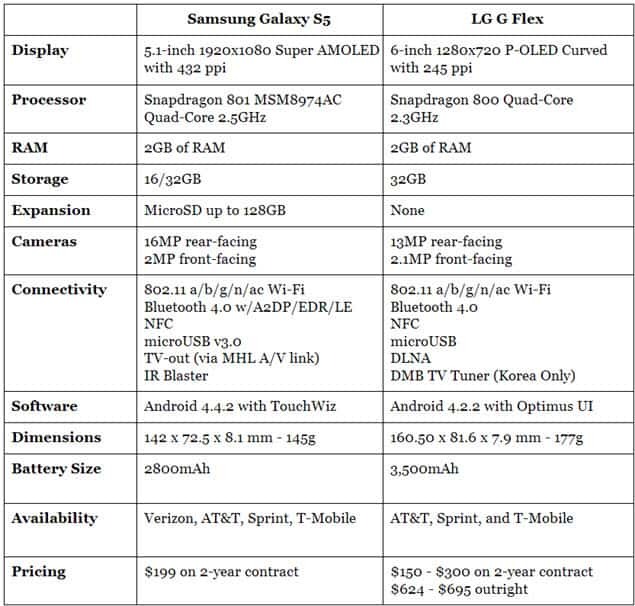 The specifications of the Galaxy S5 just outshine the G Flex – the G Flex has a 6-inch vs the 5.1-inch display of the S5 (although that is a bad thing by some people’s standards), the Full HD trumps the HD all day long. TouchWiz is a definite sticking point – while I like the options it affords me, Samsung needs to optimize it better…at least a lot of the bloatware is now in a folder and the user must install whatever options they desire – they are no longer pre-installed. We know that the battery life of the G Flex is awesome, but latest tests have shown that the new battery management software that Samsung is now using is paying great dividends. The S5 offers a microSD card for 128GB of internal storage. Add to that the fingerprint scanner, Heart Rate Monitor, great multitasking, USB 3.0 and water/dust proofing, the Galaxy S5 is too much for the LG G Flex. AT&T just started offering the G Flex with a $150 online discount which brings the price down to $150, so that is a fair price – the Galaxy S5 is $200, but with its BOGO sale going on it is a great price for a new flagship. Please hit us up on our Google+ Page and let us know what you think about this phone comparison – we would love to hear your comments. 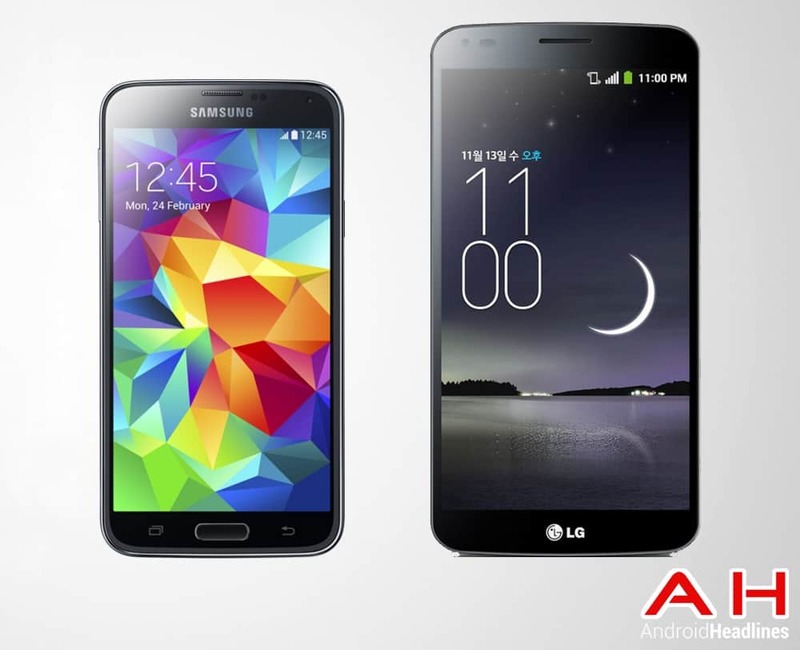 The post Android Phone Comparisons: Samsung Galaxy S5 vs LG G Flex appeared first on AndroidHeadlines.com |.